VA Home > VA Home Loan Info > What is a VA Mortgage Loan? A 2013 survey of American Communities by the Census Bureau demonstrated that veterans have a greater likelihood to become a homeowner than their civilian counterparts. Veteran headed household have an ownership rate of 79 percent, whereas civilian headed households only have an ownership rate of 63 percent. A disconnect seems to exist when looking at these numbers in the scope of the financial landscape veterans occupy. Rates of unemployment, underemployment and homelessness are inordinately high among the veteran population. Susceptible to financial dangers that their civilian peers often escape, the question becomes how are homeownership trends this high among a seemingly vulnerable population? The answer is simple; veterans, as well as active duty service-members, can take advantage of the VA home loan program. 13 percent of all veterans have used the entitlement, accounting for a million and a half active loans. Over the previous eight years VA-backed refinance loans have grown by 750 percent. Since the loan was created during World War Two, 20 million VA loans have been issued. 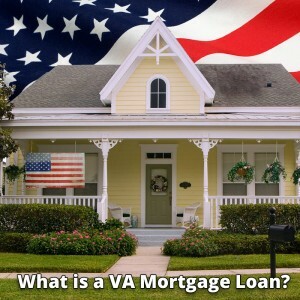 What is a VA mortgage loan? A VA Mortgage Loan is a home loan that is insured by the US Department of Veteran Affairs. Created by Congress as part of the GI Bill, the VA loan is a lien guaranteed by the US government. The mortgage is the document that places a lien on the title of the property. Third party, VA sponsored lenders issue the loan, and the Department of Veterans Affairs guarantees it. Meaning that it instead of issuing the loan themselves it protects investors in the event of a borrower’s default by paying a portion of the loan back. The guarantee allows for greater flexibility in applicant eligibility. When compared to conventional loans, the VA loan has fewer qualifying requirements. Reduced underwriting standards include lowered debt to income ratio and residual income standards. Additionally, the VA has not created a specific minimum credit score. This means that is easier to obtain a VA loan for active duty members and veterans than it would be to acquire a traditional housing loan. An estimated 80 percent of VA loan borrowers are unable to secure conventional financing, making the absence of a specific credit requirement all the more important. Options for Veterans with a Service-Related Disability: Veterans, who suffer from a disability that stemmed from an injury sustained during service, are potentially entitled to the waiving of the funding fee. To apply for a VA Mortgage Loan follow this link!